Got any leftover rice? Bring them into the fold... literally! 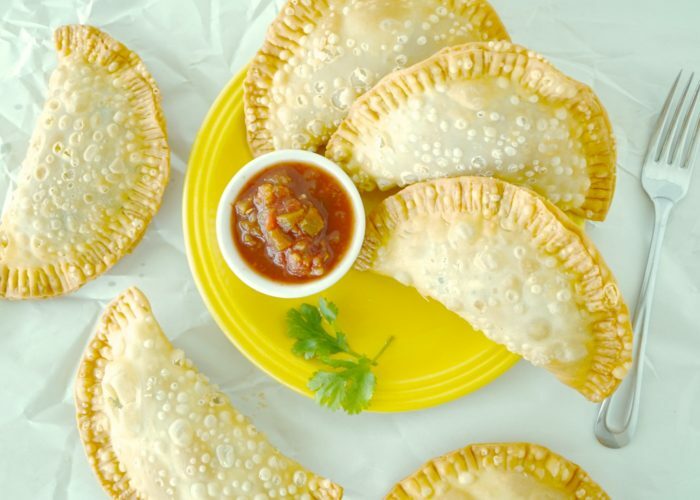 These yummy empanadas are a great way to use leftovers and a few extra ingredients to create a tasty snack. 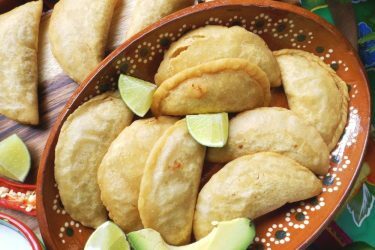 Who doesn't love empanadas? This recipe keeps things simple with cheese, refried beans, rice, and salsa. It's all you need for a sabroso snack or appetizer. Defrost the Goya empanada disc. On a lightly floured flat surface, roll out the disc slightly, fill with about ¼ cup of filling, add 2 sweet pepper strips and a couple cilantro leaves. Fold over and seal with a fork. 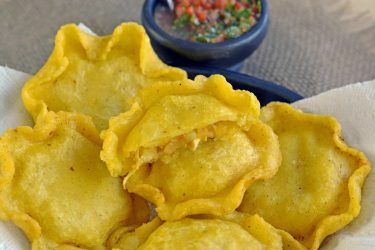 Repeat until all empanadas are filled. In a heavy skillet, heat 2 cups of oil to slightly above medium heat. After about 5 minutes, the oil should be hot enough. Test by dropping a small piece of dough into the skillet. If it sizzles right away, it’s ready. Carefully (using metal tongs) drop in 2 empanadas into the hot oil. 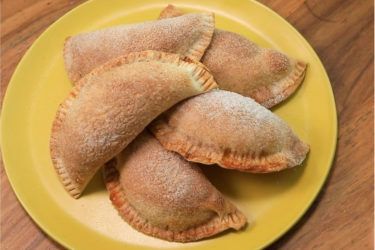 Using a stainless steel spoon, bathe the tops of the empanadas with hot oil. Turn over after about 1½ minutes and cook for another minute. Remove and drain on paper towels or on a sheet pan topped with a metal cooling rack. Keep warm in a pre-heated 250 ºF oven. Serve with your favorite salsa or sauce.